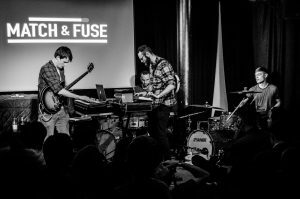 The 4th Match&Fuse London festival took place on 15-17 October at the Vortex, Rich Mix, Servant Jazz Quarters and Café Oto. Sold Out on the Saturday night, this 3-day festival featured 24 acts from 14 countries. It’s success was due to the spirit of generosity from the bands and audiences. A heart-warming experience. 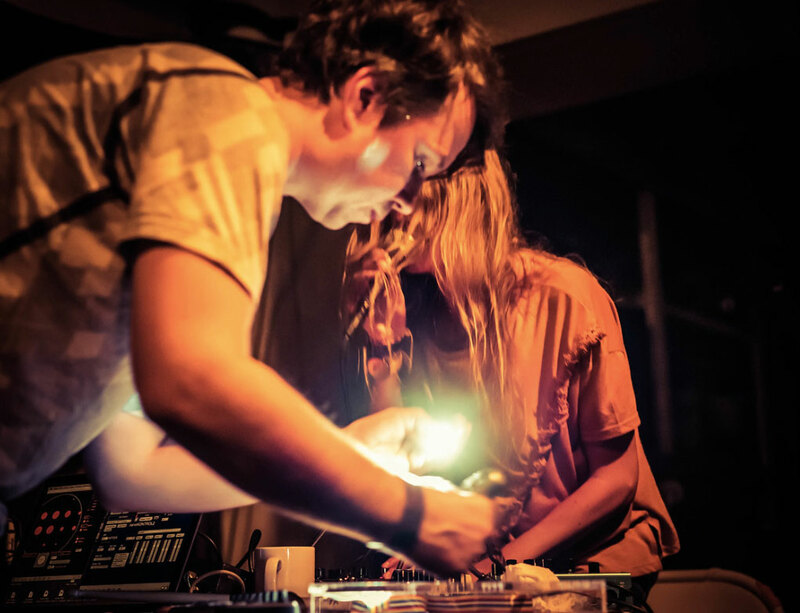 A highlight was the commissioned collaboration between the fearlessly inventive electronicist, Leafcutter John (from UK band Polar Bear) and vocal adventurist, Isabel Sörling (SE) using a light-controlled interface and digital vocal tools. 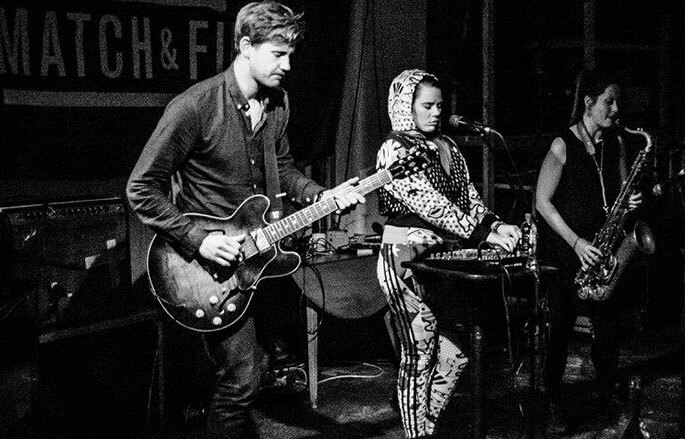 Blue-Eyed Hawk (UK) traversing art-rock, jazz, folk and electronic soundworlds. J=J (Poland) an acoustic wave, electric energy. Mopo (Finland) accelerates easily from zero to speed of light. Snack Family + Natali Abrahamsen Garner (UK/Norway) music for the times we’re sweating through – premiere of new collaboration. Attwenger (Austria) folk with punk, rock and lederhosen – first time in the UK. 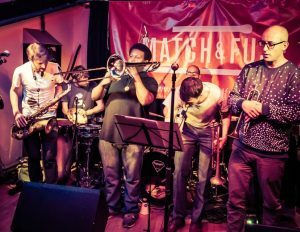 Alfie Ryner (France) jazz trash – release of their third album Raging Chicken. 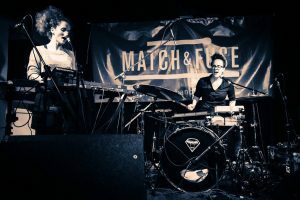 Get the Blessing (UK) thumping tunes, monstrously infectious beats, joyous collective spontaneity and launch of their third album, Astronautilus and only London date of 2015. 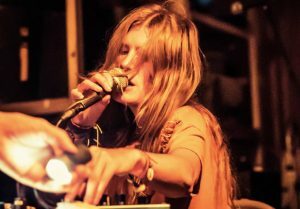 The Jist (NO) + Rachel Musson (UK) dynamic, freely improvised, noisy electroacoustic. Laura Moody (UK) stretching the possibilities of cello and voice – catching her between touring with Björk. Alexander Hawkins (UK) mercurial, melodic, roaring – one of the UK’s most innovative and imaginative pianists. 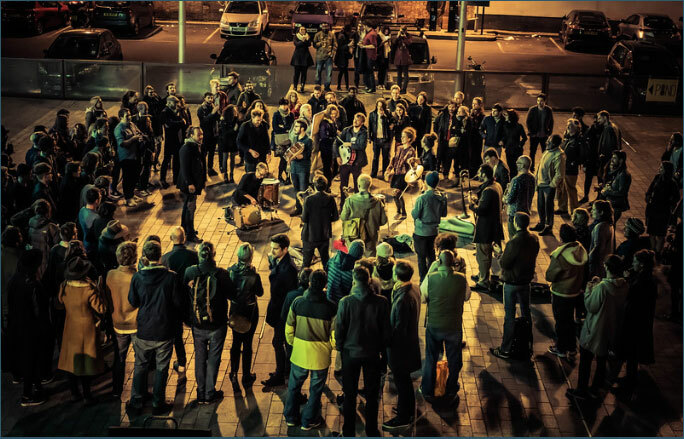 How Town (BE/LV) a voice-fest with the first ever Latvians at M&F and first time in the UK. Leafcutter John + Isabel Sörling (UK/SE) fearlessly inventive electronicist meets vocal adventurist. Brass Mask (UK) 8 piece horns and percussion delivering deft mix of musical influences of Mardi Gras Indians, jazz, and improv. InterStatic (NO) scintillating power-trio that bounds through intense sonic landscapes. 2Henning (CH) Music is an amazing way to fly. Alice Zawadski + Alex Roth (UK) + Kalevi Louhivuori (FI) new collaboration of 3 distinctive musicians. 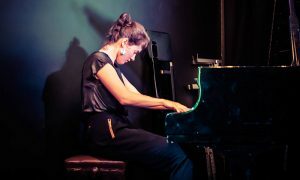 Kaja Draksler (Slovenia) a riveting solo pianist, on a rocket. The Great Harry Hillman (CH) heads-up for detailed arrangements mixing with hectic improv. Magnus Loom (UK) a cornucopia of brightly burning pitches and rhythms, howling and whispering. Alarmist (IE) genre-bending fusion of the melodic and the experimental. Strobes (UK) big beats and a vast array of sonic possibilities. Soccer96 (UK) stripped-down, amped-up analogue synth vs live drum assault. The music was captured, in real time paintings, by artist Gina Southgate and photographers Steven Cropper, Sarah Houben and Tim Ower. Joel Mills – British Council, Ruth Kilpatrick – PRS Foundation, Moses Boyd – winner of Best Jazz Act, MOBO 2015, Kerstan Mackness – Riot Management (GoGo Penguin and Portico etc) and Riot Squad PR and Denys Baptiste – award-winning musician and Arts Council England. 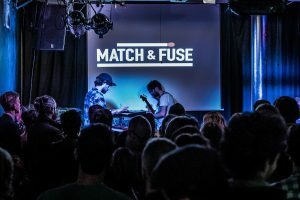 “It’s not every week that musicians from fourteen different European nations pitch up on your doorstep, but over three days this week we had the pan-european musical network Match&Fuse to thank for gathering the continents finest together.